Nothing beats a natural stone fireplace. What ever you choose it will come with millions of years of character built into it having been formed way back before man inhabited the planet. Whether you chose silky smooth Rosal or Portuguese limestone or the more textured English Bathstone your fireplace will be unique. Some stones feature cloudy patterns while others have a more distinct vein or even fossils. To choose you do have to see the stone and touch it to fully appreciate its feel and beauty. 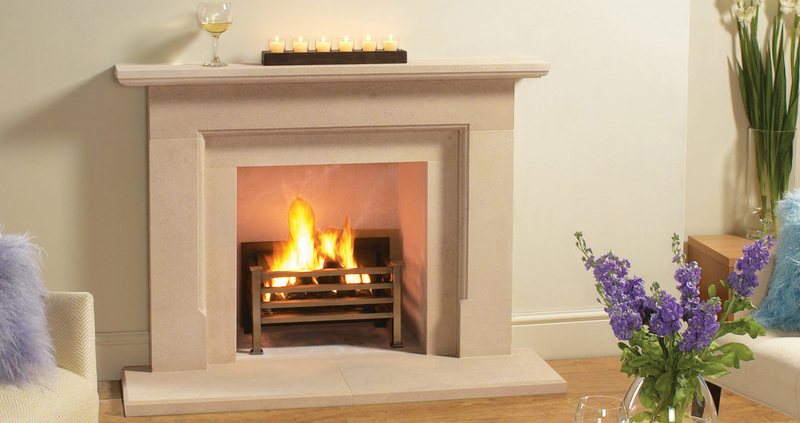 If you favour a more classic or period fireplace you may opt for a natural marble such as Carrara and Statuary. These are often matched with a cast iron insert in Georgian, Victorian and Edwardian fireplaces.